We have been in eyewear business since 1987, and we offer different collections, Sunglasses, Eyeglasses, Optical frames, contact lens. Over 20k assorted pairs. Closeout deal, all brand new out of Italy, in stock available immediately. Assorted in cartons. Sino Eyewear (Xiamen) Co., Ltd.
Wenzhou Gaotai Optics Co., Ltd.
Metal frame with acetate temple and lens in prolized 1.1. Short on time? Let sunglasses sellers contact you. Metal frame with TR90 temple injection and lens in polarized 1.1mm thickness. Rimless with nylon lens and acetate temple. Metal full rime frame with acetate temple. Metal frame with acetate temple. Metal front with acetate temple. Acetate frames with lens in CR39 with metal piece on temple. One-piece nylon lens acetate sunglasses. Acetate sunglasses with polarized lens. 1) the price includes the shipping cost. 2) all articles will be sent with original box, retro card, label etc. 3) payment: 1. Western union 2. T/t. 4) delivery time: 5-7 business days to your office or home by express. 5) if you have any questions, please contact us asap via e-mail or msn. 6) minimum order: we do not mind to start the business from minimum order even only 1 quantity. 7) 100% satisfy refund policy. Christian Dior, Coach, D&G, Gucci, Marc Jacobs, Oakley, Polo, Prada, Ray-Ban, Valentino, POLICE, edhardy, Burberry, Louis Vuitton,carrera, ROBERTO CAVALLI,Chanel, VERSACE, FEIDI, DIESEL, Cartier,Lacoste, ARMANI ,PUMA , Tom, Chloe, sunglasses and so on. 1.Top quality, best service, competitive price, prompts delivery and solid reputation. 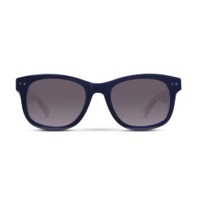 2.Popular styles sun glasses frame offer very wide selection of material, colors and size. 3.Various dynamic collection glasses for yours selection;we promise new fashion designs come out each season. 4.If any requires, please contact us without hesitation, your inquiry will receive our high attention and immediately reply. Package:1pair/polybag, 10pair/inner box, 300pair/carton.